There are so many things to see and do at Pier 39. 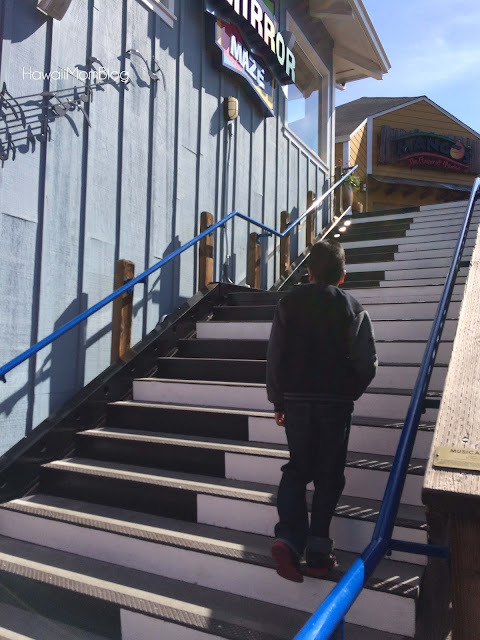 One free and fun thing to do is make music on the Musical Stairs! 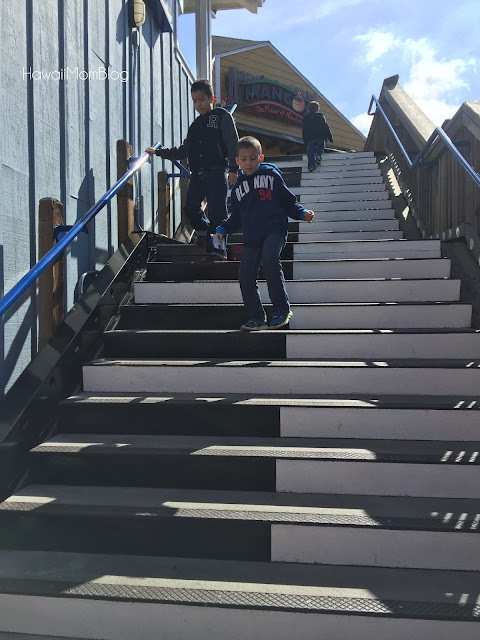 Presented by Artist Remo Saraceni, creator of the floor piano in the movie Big, kids will have lots of fun going up and down the stairs to create music. My kids didn't try to play any specific songs, they just kept walking up and down the stairs. It's a little hard to hear the music in the video below since it was so windy and you can hear the murmur of Pier 39 crowd, but the music does come through quite loudly in person. It was a fun way to pass some time while visiting Pier 39!